In passing through Norfolk, Virginia last week, I sought out a restaurant that had lots of gluten and dairy-free options and high recommendations on Find Me Gluten Free. After searching through the results, Baker's Crust stood out with both rave reviews and many options. Baker's Crust seems to be a counterintuitive name for a gluten-free friendly restaurant, but if you look beyond the name, their options for gluten-free dining are pretty expansive. Pizza, pasta, and bread are all on the menu, and the staff are trained to recognize the importance of allergy-friendly dining. 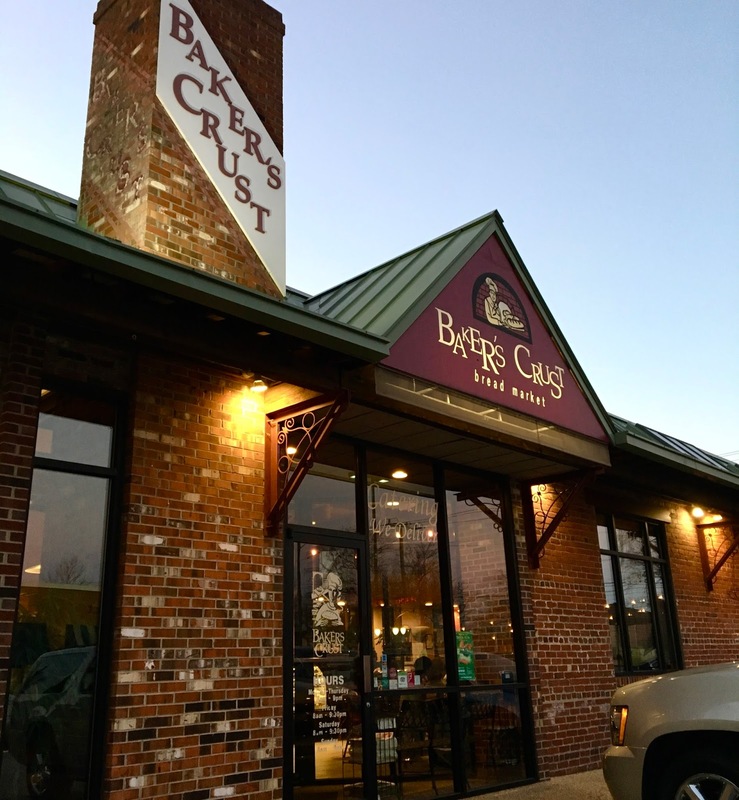 Baker's Crust is a regional chain in Virginia with several locations in addition to the one I visited, located in the Ghent neighborhood. Surrounded by cute shops and cafes, it was a nice location that was easily accessible from downtown Norfolk where I was staying. The first thing the hostess asked before seating my mom and I was if there was a gluten allergy in the party. 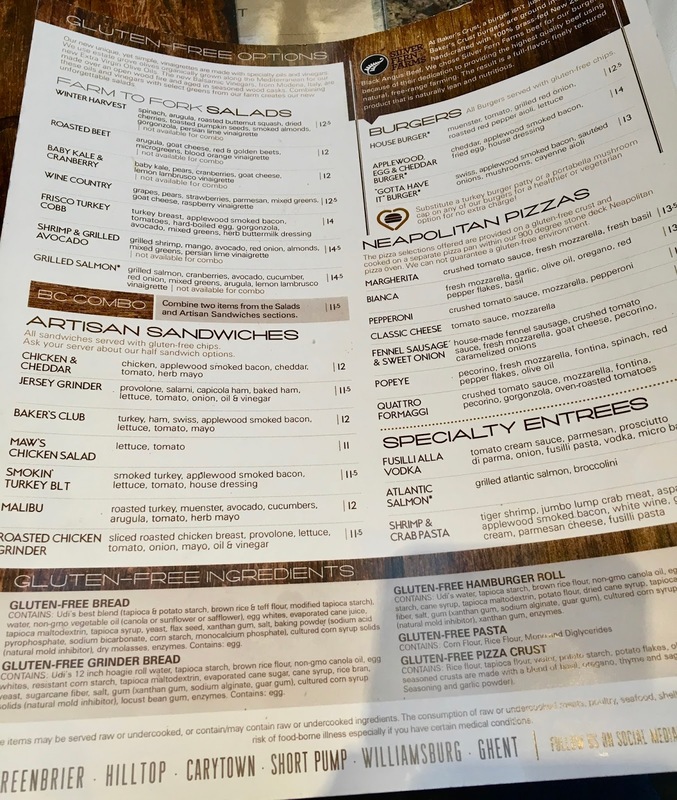 That way, they can give you the dedicated gluten-free menu, which is complete with ingredient statements for the breads, pastas, and pizza crusts used. While not a dedicated gluten-free establishment, their proactive approach signals a commitment to dietary restriction awareness. Baker's Crust uses Udi's hamburger rolls, bread, and grinder bread (sub). The crust and pasta brand is not named. When an allergy order is placed, the manager oversees the order and brings it to the table to ensure that it is safe from start to finish. As a side for my hamburger, I ordered the side salad, which features lettuce, cucumber, tomato and dressing. The vegetables were all noticeably fresh and the portioning was very generous. This isn't your average "side salad" size, it's served on a full-sized entree dish. 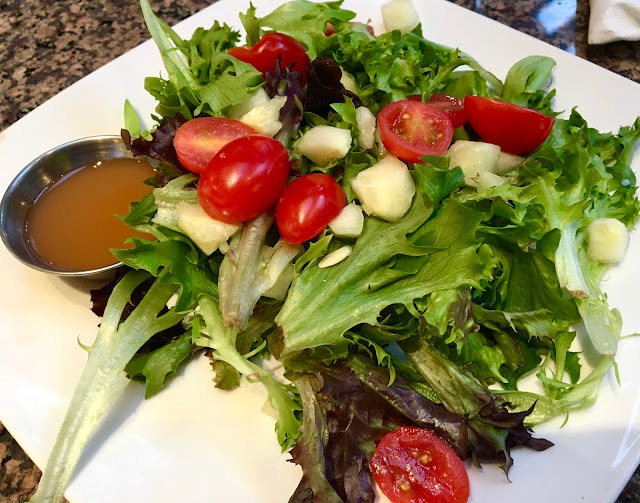 The dressing was not overly remarkable, but did add another dimension to the salad. 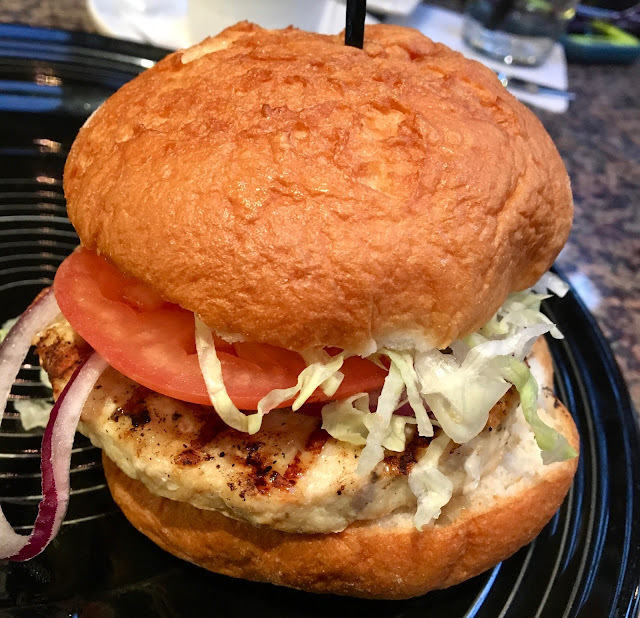 I ordered a turkey burger without cheese on a gluten-free bun, which in the course of ordering was mixed up and I was first served a hamburger instead. As delicious as it looks though, I did bring it up with the wait staff who remade the order. One upside to the order mix-up? It was still gluten-free. 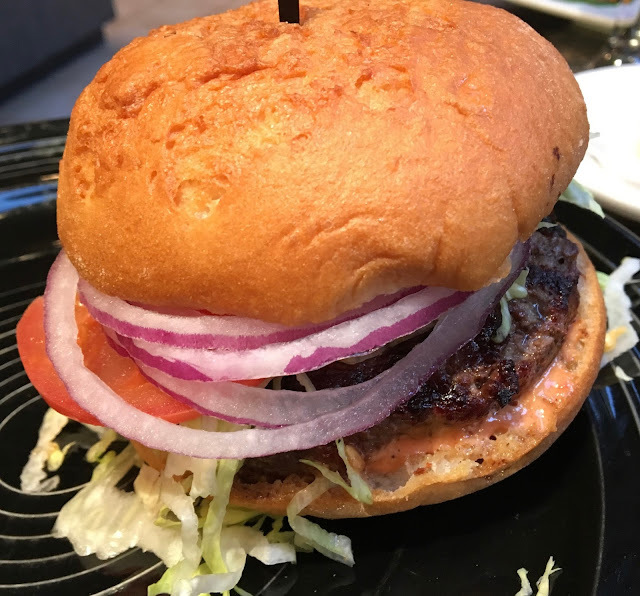 When the proper burger arrived, I was ready to eat after waiting a little longer for it to be made. The bread was soft and sturdy enough to not crumble after every bite. It was thick as well so it did not disintegrate with the moisture of the heated burger. The burger itself was nicely seasoned, thick, and juicy. So often turkey burgers can be disappointing, but this was truly satisfying. The toppings were good- nothing overly standing out, but they did provide a nice texture for the sandwich. I'm glad I found Baker's Crust, because it is truly a luxury to be able to choose from so many foods that are normally off limits to me. The staff are conscientious and gluten-aware, and the food is served in hearty portions at budget-friendly cost.